If you aren't familiar with the work of filmmaker Ingmar Bergman, this review may not make a lot of sense. Hell, if you are familiar with his work this review may not make a lot of sense. Wild Strawberries is only my third Bergman, so I am not exactly an expert on the man and his style, but my limited history has taught me that I have a lot of trouble finding the words to describe how I am feeling after a film of his. My other two Bergman experiences were probably two of the more popular and predictable, The Seventh Seal and Persona, and both were the type of films that would keep me up that night, although if asked why I wouldn't really be able to explain it. The man creates these worlds that are both abstract and yet real and familiar, like I am constantly walking a tightrope between realism and a chilling nightmare. It is an enlightening tightrope to navigate, although I usually need an Advil and a willingness to accept some extra fatigue the next day. Wild Strawberries is easily the most accessible film I have seen thus far by Bergman, and perhaps coincidentally, perhaps not, it has instantly become my favorite of the three. That isn't a knock on The Seventh Seal or Persona, those are both wonderfully crafted works, but those left me wondering exactly how I felt for some time after they were over. 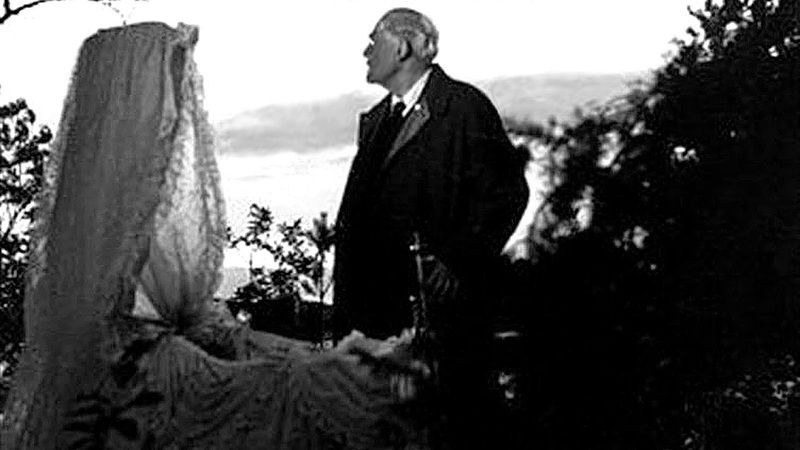 I know exactly how I feel about Wild Strawberries, a life affirming joyous film that, for me given my brief Bergman history, is surprisingly optimistic. The plot revolves around a grumpy 78 year old professor named Isak Borg and the long car ride he must take from Stockholm to Lund in order to receive the degree of Doctor Jubilaris as recognition for his 50 years since he had received his doctorate. Traveling with him on this journey is his daughter-in-law Marianne whom is pregnant with a baby causing marital conflict, and her relationship with her father-in-law Isak is tense to say the least. Borg goes on both a literal journey and also one internally, a quest for comfort and peace as he deals with his troubled past and reevaluates his life as a whole. I found myself to be highly emotionally invested in what was taking place on the screen with these characters, which is something I cannot say for the other two Bergman films. With those I admired absolutely every aspect of the film except I lacked that deep, personal connection that lifts a great film to one I would refer to as a favorite. Wild Strawberries has that missing piece. Wild Strawberries is instantly a favorite.